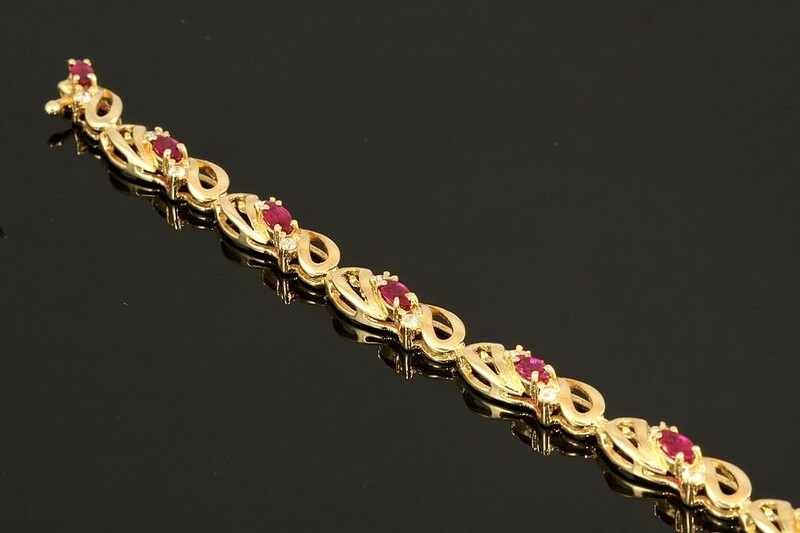 14k yellow gold 2.20ctw Burmese rubies, .40ctw diamonds. I have been going to Lapidary Arts for many years and I have never been disappointed. They have exquisite, one of a kind pieces. I have also had them make pieces for me, using both my own stones or those I purchased from them. Their creativity has resulted in some amazing, unique pieces. If you are looking for cheap pieces of jewelry, don't go here. But if you want a strong, quality, unique piece of jewelry, definitely go visit them. I've been doing business with Rick and Roger for many years now. I find they are not pushy at all and their products are very high quality. I've recently purchased a custom engagement ring which my now fiance was in awe of the design and we are having them build a wedding band to match the custom design. I would give them my highest recommendation. I went in with my fiancee and some stones that my great aunt left me to get an engagement ring (his gold and my stones) and he was very patient with us. Helped up pick out the right stones, select the right setting, and then made us a ring. It's just amazing. I get compliments on it from everyone. I went in to get a custom engagement ring done for my girlfriend, now fiance. I was promptly greeted and helped right away. They sat down with me and helped me go through many catalogs and suggested many options. I knew what I really wanted to get was done by a high end designer and a picture of it was on the internet, so they let me use their computer and print of a picture of it. When I say high end that really just means way over priced because I was able to get the same ring even more customized for 66% less than what I was quoted by Jareds, however it appraised for the same selling price at Jareds. This included bigger diamonds and a European band (squared for better comfort). this place has the good stuff. You have to save your money to buy a piece here. But it is worth the wait while saving. They have the most beautiful, rich colored gemstones and high quality diamond jewelry. You get what you pay for and this is top quality! While they do indeed have beautiful jewelry for sale, do not leave a piece that you care about for repair. They ruined (no dispute, it is ruined) a piece of my jewelry, and I'm having a hard time getting anyone to even call me back. They don't even dispute that they did ruin it. They simply don't call back. Recently returned to browse, and what a selection! Had great quality in both low and high-end jewelry. Huge selection of loose stones, and was able to create the exact ring I was looking for. Delivered on time, and my wife loves it! Apparently has new staff and jeweler on site. Highly recommend to everyone. I recommend Lapidary Arts to everyone! I purchased my first piece of Lapidary Art in 1990. I purchased the loose stone and they custom built my setting. 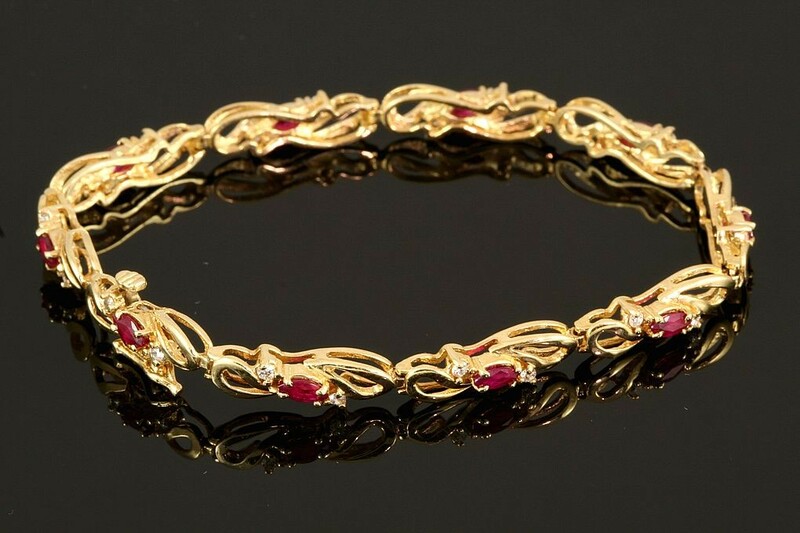 It is AMAZING and has appraised by other jewelers as...EXQUISITE!!! That's quite a compliment. In 1995 they custom built our wedding rings to my specifications. They had a problem with the center stone and called me about it. The problem wasn't visible at all, no one could tell anything was wrong. They refused to let me pay for it until the work was complete. I was able to take my wedding rings on my trip for two weeks then returned them for the correction and only then would they let me pay for them! That is extremely honest! Years ago they helped my then finance & I design my engagement ring...that was 1991 & my 1st experience w/custom jewelers. I have been hooked ever since! Quality is great, prices reasonable given the beauty and selection is like no chain you'll ever visit. The owner is Rick Otte, great guy and so knowledgeable about stones. Who knew this would become such an interest of mine...all birthdays, anniversary &Christmas gifts are best if from Lapidary Arts. I recommend to all.